I think it’s important to stick my head above the parapet from time to time. Not too often, it can be hard work. It’s rewarding though, to stand up for things you feel. It’s even more rewarding (and even harder work) when you stand up for things you feel that other people will probably vehemently disagree with. Most of all, though, it’s rewarding to stand up for things you feel which others will disagree with, when that things in question and utterly trivial and completely pointless. That’s the most fun of all. So let’s have some of that kind of fun. Here are three trivial unimportant things that I feel which you may well disagree with and even think me a fool for not agreeing with you. Because it is in my nature to like stuff, my ‘three things’ for today all concern things I quite like that I reckon many of you will probably dislike. I like Richard Curtis. I think he does ‘funny’ and ‘sweet’ really well. I liked ‘Four Weddings’ very much and I’ve stuck with him since. Trish and I went to see this when it first came out, close to whatever Christmas that was, and I found it funny and touching and it put me in the mood for the holiday. It’s on telly loads and loads but I would watch it if I was sitting and it came on. I would show it to my son and say, “Here, this is quite good.” I get why people wouldn’t like it (I think) but I do. So there. 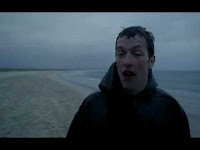 Ever since he marched along that rain-swept beach in the video for ‘Yellow’, I’ve liked Coldplay. I don’t run out and buy their albums but then I don’t run out and buy albums generally. I don’t seek them out to listen to either but, when they come on the radio or telly, I find the music bright and smart and good. I saw them in concert on telly, from Glastonbury, I think, and I thought they put on a great show. Okay, I’ve saved the big guns for last. I’ve read all of Dan Brown’s books. Some are better than others. ‘The Da Vinci Code’ won me over though. I had to go to Dublin on the train one day, a three hour journey each way. I took along ‘DVC’ and opened it as the train pulled out. I finished it that evening as the train pulled back into my home station It was a complete hoot. It belted along from scene to scene, had just enough quasi-historical hoohah to work and it made my train journey vanish into a world of running, racing and clue-solving. What more could I want? I’m a writer but I don’t get snagged on Dan’s famous style or his ways with description and metaphor. He made the train go away. That’s why I’ll read his new one too, sometime, no rush. I’m not saying that Dan doesn’t write dodgy sentences or constantly hark back to similar scenarios in his various stories. It just doesn’t bother me. I don’t look for savoury undertones in a Magnum choc ice. I look elsewhere. I think people mostly knock Dan because it’s fun. The character of the superstar writer who doesn’t write very well is a comical enduring one and it’s fun to riff on, particularly when there’s obviously some truth in it. But I’ve enjoyed a bit of Dan in my time so I think it’s good for my soul not to jump on that particular wagon. I’m not saying he’s brilliant, I’m just saying I enjoyed reading some of his stuff. If I feel it, why not say it? So there’s my three things for today. Like I said at the start, you may well disagree. You may think me an idiot and a tasteless cretin of the highest order. That’s fine and good. As a matter of fact, it’s great. My belief is that our hope for the future lies largely in our continuing expressions of disagreement. It’s too easy to surf along on the gentle wave of the general view of things. We’re better than that. We have to stand up for what we believe and, before that, we have to educate ourselves on what we choose to believe, just to make sure that it’s right. And we can practise here, on these silly little things that don’t really matter at all. Then, maybe, we’ll be better prepared when the big stuff finally comes along. After checking Wikipedia I’m actually surprised I’ve not seen more of Richard Curtis's work. It’s been nine years since I’ve seen a film by him (Bridget Jones: The Edge of Reason). I’ve not actively avoided him but then neither have I sought him out. I enjoyed Love Actually actually. We had the DVD and my favourite bit is one they cut from the official film, the two old lesbians in bed. I seem to recall it being quite sweet. Probably the main problem with the film is that he tried to cram too many storylines in. Hard to do well but it can work, e.g. Magnolia. Probably why a lot of people don’t like his work is that it can display the same cloying sentimentality that Mitch Albom also employs to great effect; there’s clearly a market, however, for this kind of material. His best work was undoubtedly Blackadder. From all accounts that was Ben Elton’s crowning glory too based on what I’ve read of his latest sitcom although maybe he’ll be remembered more for being a novelist than a scriptwriter; history is a funny bugger that way. I also don’t rush out and buy albums these days with two exceptions: Fish and Pink Floyd. I know the possibility of new material from the latter is about zilch but I would buy it the day it was released. The same goes for Fish who is a fabulous songwriter and I own everything he’s done from his Marillion days on. Coldplay I have something by—couldn’t tell you what off hand—but I’m not sure if you played me a random track by Green Day, Radiohead, Coldplay and two or three of their peers that I could correctly identify any of them. I’m always interested in new bands and wish there was more on TV so I could keep abreast of current developments actually but I have enough stuff to keep abreast of without worrying about that. I have not read anything by Dan Brown. 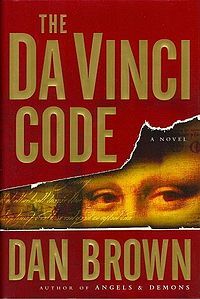 I saw the film adaptation of The Da Vinci Code and it was watchable. It did nothing to motivate me to actually seek out the source material. Books can be entertainment and I’m fine with books that entertain. I have a problem with books that only entertain. Want to put me off a book then describe it as a good beach read or something like that. I don’t care that Brown’s made a bucketload of cash. That doesn’t put me off him. His subject matter does. I’m happy to waste a couple of hours on a film like that but not a week (600 pages is a lot for me). At the moment I’m reading nothing but novellas (shouldn’t that be novellae?) and I’m loving it. Two days and I’m done. Actually there’s another thing that’s pretty much guaranteed to put me off any book: the word ‘epic’. For me, the deal with Dan Brown isn't snobbishness about the poor writing, it's that there are some truly wonderful artists out there who are totally overlooked because people are flocking to follow the latest fad. Most of life is agonisingly sad, to me, because of all the wasted potential, the unappreciated beauty, the unrealised opportunity. Whether you're a creationist or an evolutionist, it all appears to have been a bit of a waste of time, really. Love Actually is one of those movies that regardless of where you may happen to be in your life, will always make you feel hopeful. There are so many well captured moments in it, that whenever it is on I find myself thinking "Oh I hope I haven't missed that bit." I never grow tired of it, and the last bit at the airport of all the people meeting their loved ones gets me every time. Yellow always reminds me of my son as it was a hit when he arrived. I agree with you about them. I really like that tune. I think Dan Brown did what he did. I too read that book and enjoyed it. Nice work Ken. Glad you waved your flag of admittance, people should do it more. Once in a hushed lecture theatre at University, after the tutor asked if there were any questions, I was the only person who stuck their hand up and asked away. After the class, everyone else said "Oh well done for asking that." Confirming to me that people often keep quiet when in fact they have a query. I have no idea why they do that. In my book, no question is a stupid question or else none of us would know anything. A good rule of thumb I think you'll agree.